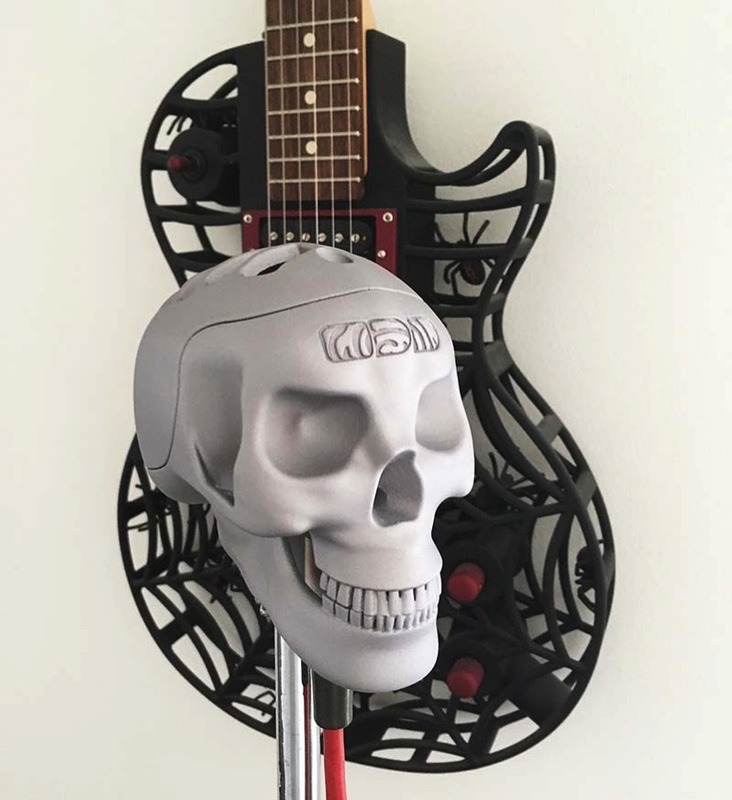 3D Printed Skeletor Microphone #3DPrinting « Adafruit Industries – Makers, hackers, artists, designers and engineers! 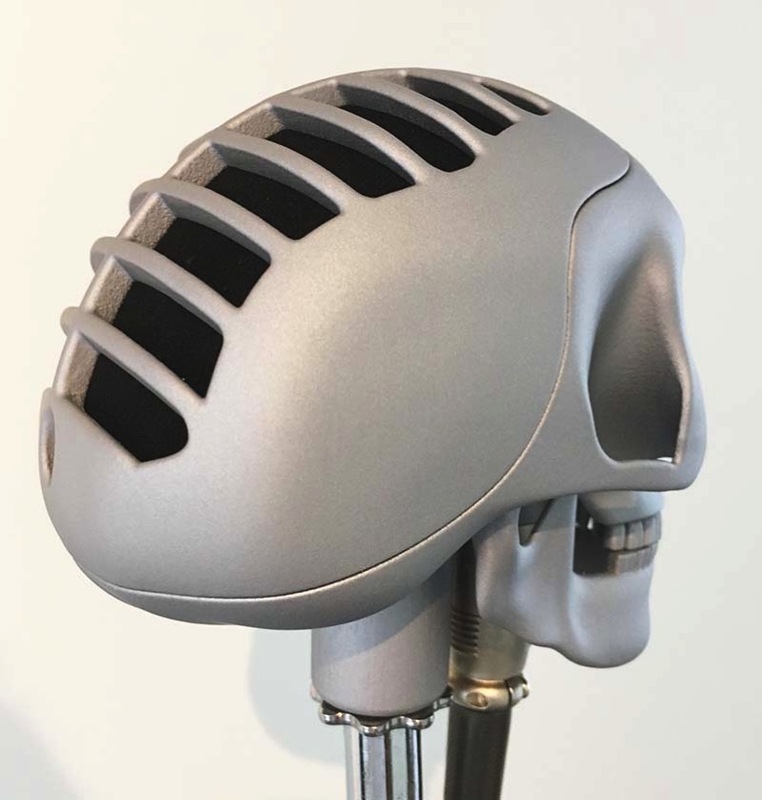 The entire microphone was designed in Solidworks, so also makes a nice example showing that it is possible to design extremely ‘organic’ shapes with engineering CAD software. I had an old Sure SM58 microphone lying around, so I used the microphone capsule and XLR connector from that for the first iteration of the Skeletor but, of course, the beauty of additive manufacturing, is that it is very easy to change the interior mounting system to suit almost any microphone capsule, without it costing anything more to manufacture. Although I initially designed the microphone to be printed in aluminum, with the back part of the microphone designed as a porous lattice structure, I printed the first iteration for testing on an EOS Formiga P110 SLS (Selective Laser Sintering) system, out of nylon powder, and with a layer thickness of 0.1mm. After printing the first iteration in nylon, and painting it and assembling it, it seemed so good that I decided that it made better economic sense to keep the standard version in nylon, and to later do a ‘deluxe’ version that would be printed in aluminum. Watch this space for the aluminum version. I will not print this until I have direct access to some metal AM machines in a few months, as it will take a bit of experimenting with the design, the print orientation, and the support material, to get it to print as easily as possible in aluminum.